Jammu: Increasing concentration of carbon dioxide and the associated rise in temperatures is affecting life on earth at different scales. Agricultural scientists are worried over sustaining food production and productivity of major crops like wheat, paddy, and maize. Over the years, studies have shown that elevated carbon dioxide levels will stimulate wheat productivity but the consequent rise in temperatures would have a negative impact. The possibility of a hike in wheat productivity because of higher concentration of carbon dioxide has, in fact, led to some optimism in temperate countries like Greenland, Canada, Northern China and Europe since annual temperatures there are currently well below the optimum range for the growth of wheat. Any increase in temperature would be beneficial to them. In tropical countries like India, however, there is heightened concern. It is already hot enough and further rises in temperature could prove disastrous. 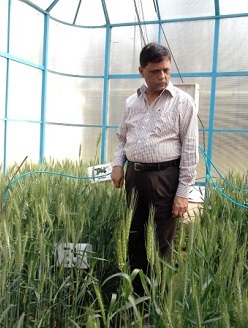 In this backdrop, scientists at Indian Institute of Technology- Kharagpur explored the possibility of nutrient management as a way to sustain wheat productivity even at higher concentrations of carbon dioxide. They created an artificial carbon dioxide-rich environment and applied different levels of nitrogen to wheat crop along with the recommended dosage of fertilizers. The experiment was carried out over three consecutive Rabi seasons. The scientists found that wheat yield and growth parameters improved with increasing levels of nitrogen application despite elevated carbon dioxide conditions and higher temperatures. Interestingly, under ambient carbon dioxide concentration, increasing the dosage of nitrogen did not bring any improvement in growth and yield of the crop. Dr. Pratap Bhanu Singh Bhadoria in the experimental farm at IIT Kharagpur. Carbon dioxide enrichment had a positive effect on various growth parameters and yield attributes of wheat. 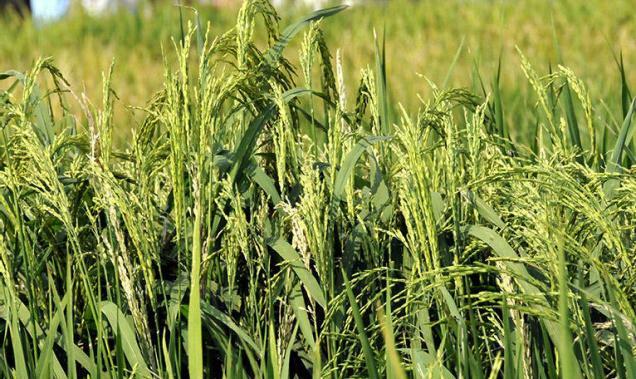 Elevated carbon dioxide tended to increase crop growth rate and the fraction of leaf biomass and leaf nitrogen, especially for the nitrogen management using chemical fertilizer. Elevated carbon dioxide led to 17% increase in wheat grain yield above ambient as averaged over the nitrogen fertilized treatments. Elevated carbon dioxide also resulted in higher nitrogen use efficiency. “Wheat production under the elevated carbon dioxide environment in Eastern India might be maintained or improved through the normal and increased dose of nitrogen fertilizer application. 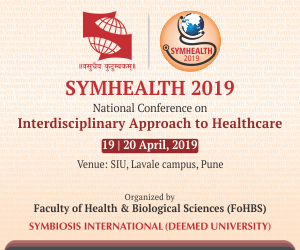 However, there is need for larger studies on the field with multi-location trials using different varieties, before any firm conclusion can be reached,” noted Dr Dillip Kumar Swain, who led the study. The researchers have published their findings in the European Journal of Agronomy. Besides Dr. Swain, the team included Swati Hazra and Pratap Bhanu Singh Bhadoria from the Agricultural and Food Engineering Department of IIT Kharagpur, India.